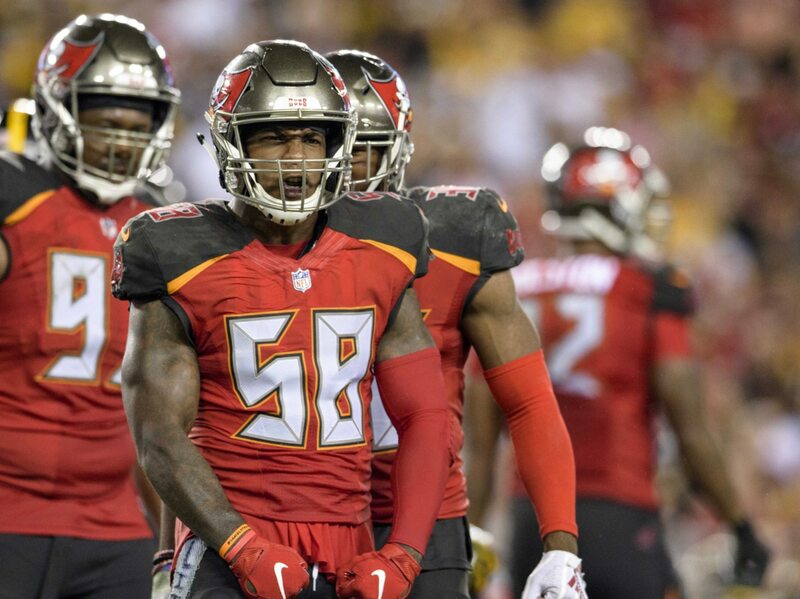 The Tampa Bay Buccaneers on Monday received confirmation that Pro Bowl linebacker Kwon Alexander did in fact suffer a torn ACL during Sunday’s win over the Cleveland Browns. The expectation all along was that Alexander did in fact suffer ligament damage to the knee, ending his season after just six games. For a Buccaneers team that’s 3-3 and hoping to contend for a wild card spot, this is some extremely bad news. One of the best middle linebackers in the game, Alexander recorded 45 tackles (six for loss) and two forced fumbles in six games prior to suffering the injury. A Pro Bowl performer last season, Alexander has morphed into a true leader on Tampa’s defense. In fact, the two sides were negotiating a lucrative long-term extension prior to the injury. With Alexander out for the remainder of the season, it’s going to be a struggle for the Bucs’ defense to put the team in position to win. Despite Sunday’s overtime win, Tampa Bay ranks dead last in points allowed and against the pass. It also ranks 30th in total defense.